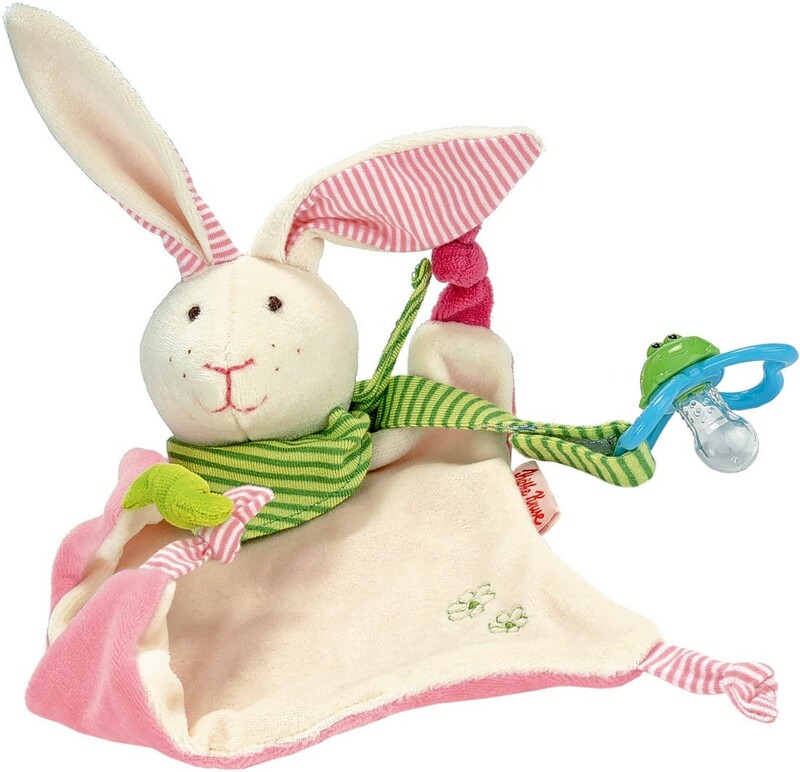 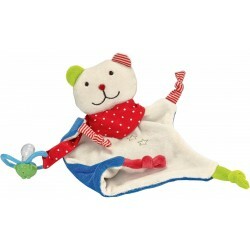 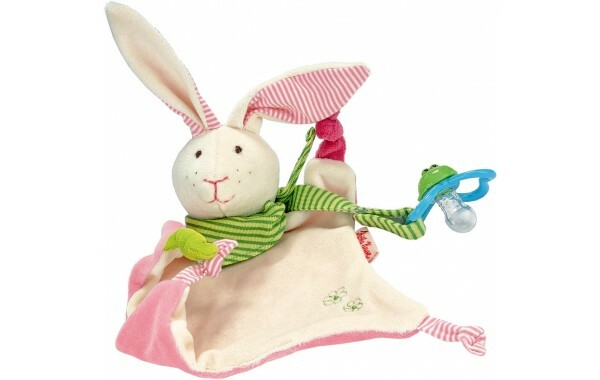 The bunny pacifier towel doll has an appealing body of soft cotton fabrics featuring colorful knotted corners, and a green striped neckerchief. 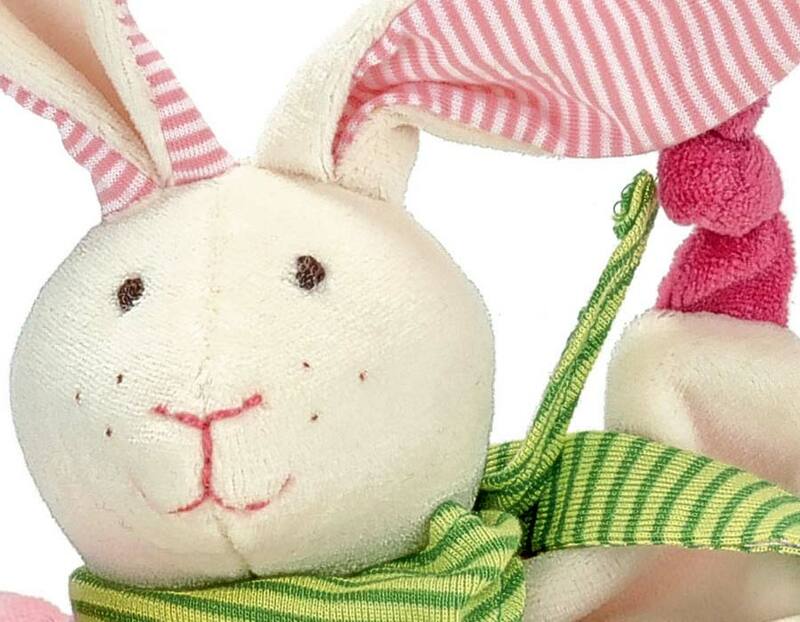 Her face is embroidered by hand with a contagious smile. 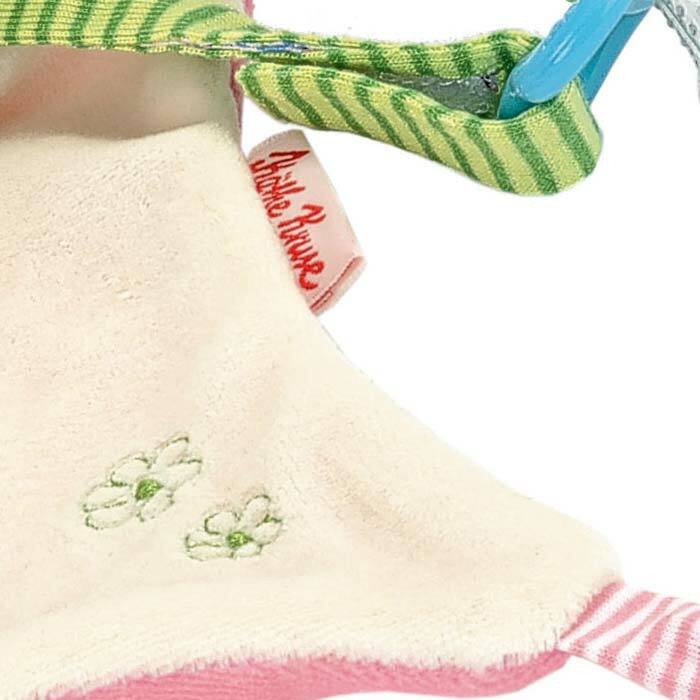 A knotted strap keeps the pacifier close and safe. 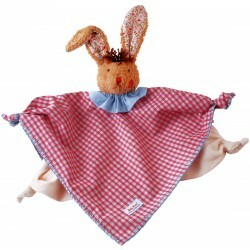 The towel doll is one of the original Käthe Kruse products. 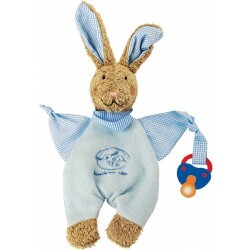 They are perfect companions for infants and babies as they adopt familiar smells of mommy and daddy and the home, providing comfort and familiarity.